Yifan Machinery JC jaw crusher crushing efficiency, high reliability, and can be flexibly applied to both stationary and mobile crushing station, the operation is simple and safe. 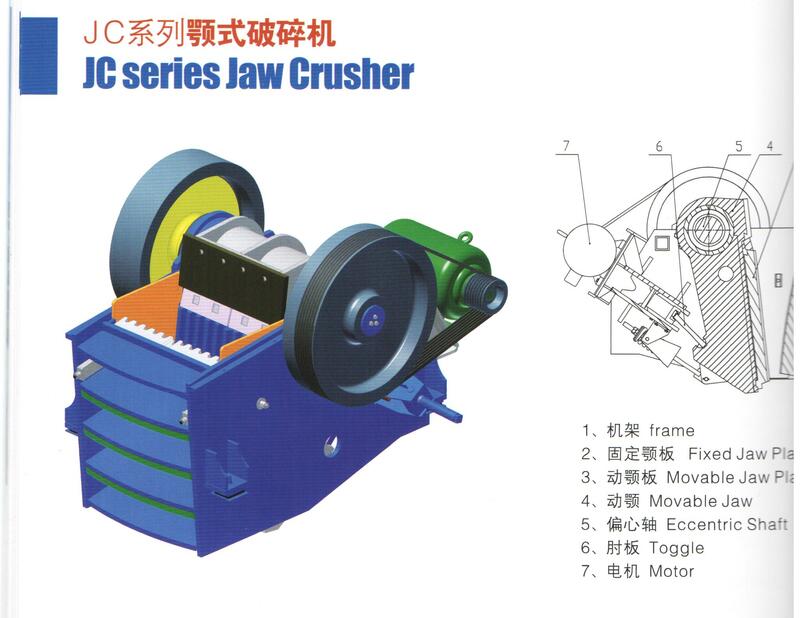 JC jaw crusher is unique in that its competitive orientation stroke with unprecedented large long fixed jaw liners. Feed opening, reaching 1200 × 870mm; broad cross-section of the crushing chamber, ensuring high performance and high crushing ratio. Rated power of 160kW, tight side discharge opening adjustment range is 70 ~ 200mm, excluding attachments, including weight 26000kg. 、Simple structure, reliable operation, low operating costs. JC jaw crusher special attention in the design of rugged durability and ease of operation, component casting design using finite element analysis and casting simulation. Every detail of the design begin with superior reliability and prolonged service life as the starting point, in order to achieve higher productivity and longer continuous run time.